Kiliney Kopitiam, 4th Floor, Tunjungan Plaza Mall 4, Surabaya, Indonesia - my name is Food. 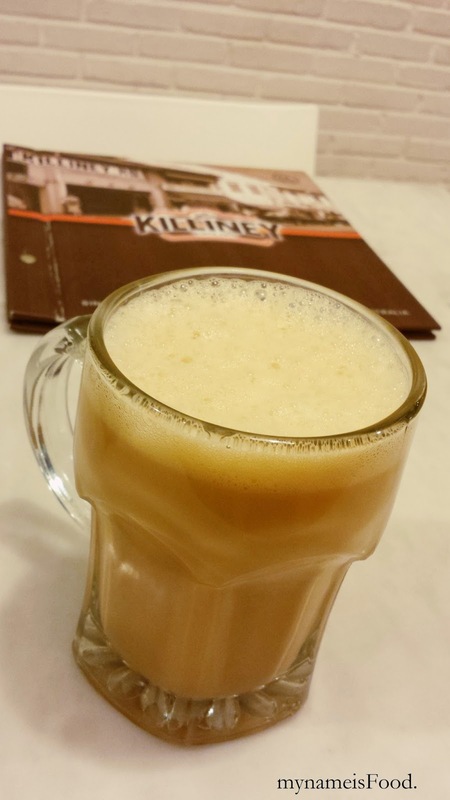 'Teh Tarik' is one of the most popular drinks in South East Asia especially in Malaysia and Singapore. The name derives from the way the drink is made. The pouring process of pulling the drink while preparing for it, consisting of only tea and condensed milk. The drink mixture basically gets poured back and forth until it gives that thick forth on top. 'Kiliney Mee Goreng' which I think this dish was.. 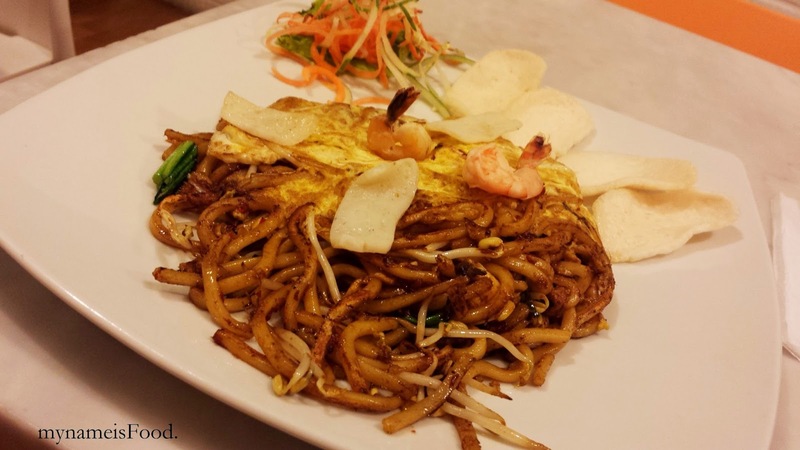 Mild spicy stir fried noodle with special Kiliney sauce, egg, prawns and fish cake. It was just okay, though the mild spicy seemed abit spicier than just mild.. The dish lacked meat such as the prawns and fish cake and although it had the flavour in the dish, but the lack of ingredients made it somehow bland. 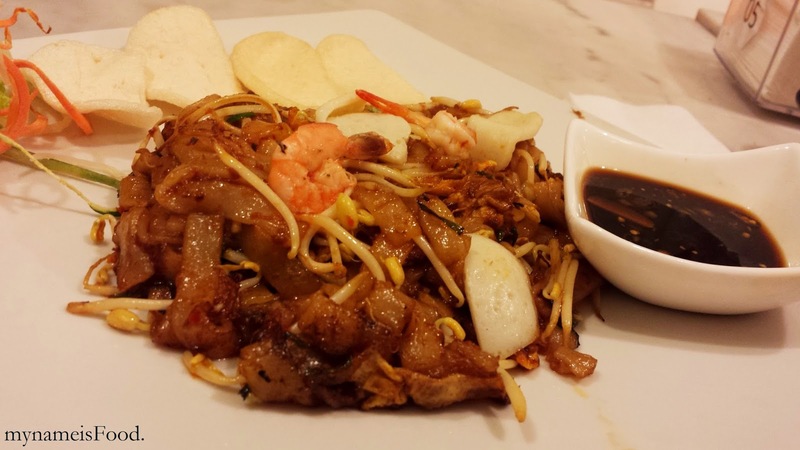 We ordered 'Kiliney Fried Kwae Teow' which we missed eating together, it was quite spicy overall. 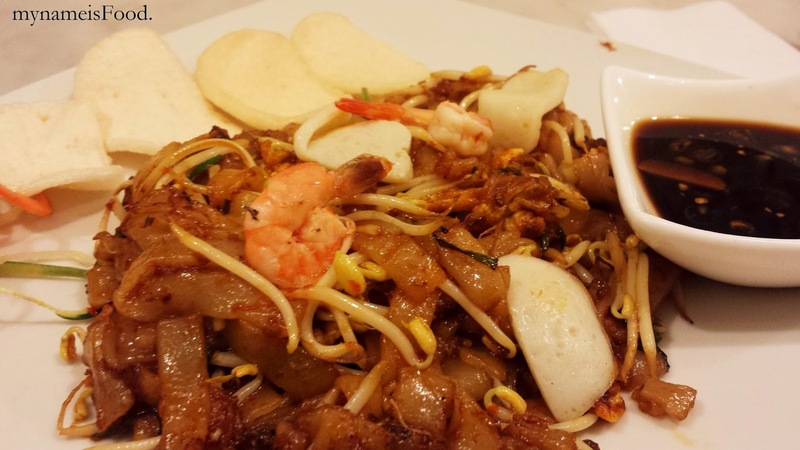 It had prawns, fish cake, bean sprouts and egg, though much simpler than the usual Kwae Teow.. The pickled or vegetables on the side didn't quite look nice as it didn't look fresh so we didn't eat nor touch it. The prawn crackers on the side could've been given a bit more than just 4 little prawn crackers. The chilli soy sauce on the side was quite nice if you want extra chilliness in the dish. 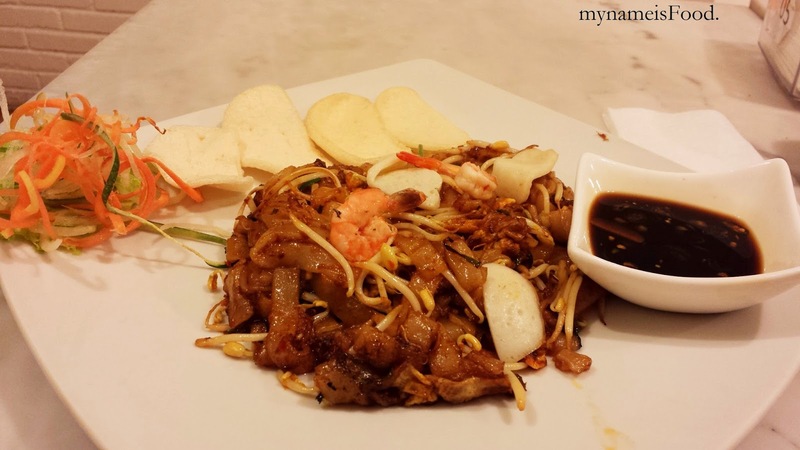 The Kwae Teow itself did not lack taste however, something was still missing from the dish. Somehow, there was more seafood than meat in the dish and portion was not as big.